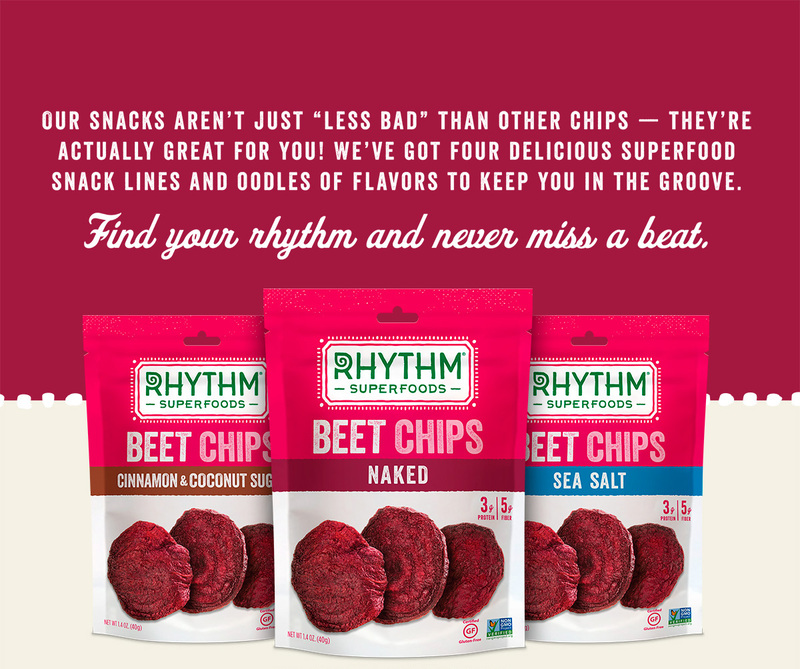 Rhythm superfoods began got their humble beginnings in 2009 by experimenting with air-crisped kale chips in the kitchen of The Daily Juice, a little juice bar in Austin, Texas. Their snacks were so popular that they began producing beet chips and crunchy carrot sticks, too. 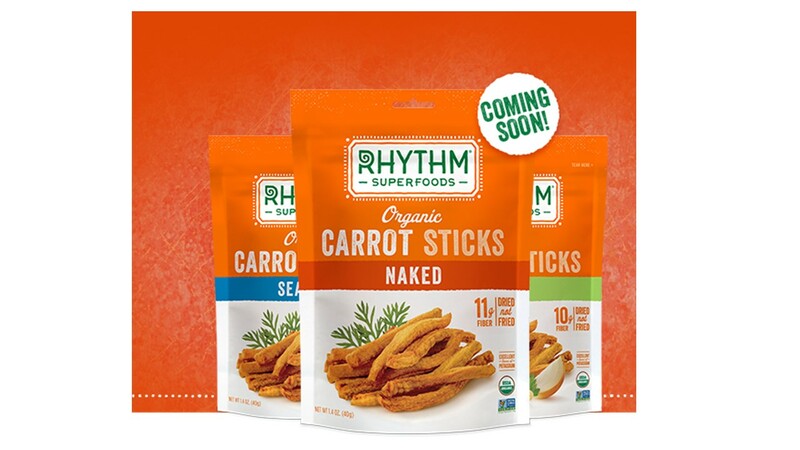 Now Rhythm Superfoods is sold in stores in 14 states and five countries around the world, plus globally online. In early 2018, during the company’s impressive growth phase, the emerging snack company partnered with OU—the world’s largest and most widely recognized kosher certification agency—to add its kosher symbols to all products. Why? Over $150 billion in kosher certified products are consumed annually, and the OU kosher symbol appears on close to 70% of America’s most popular kosher certified foods, from Chobani to Coca-Cola. Busy shoppers choose the products that have a clear kosher certification from an agency they trust. Because of this, a product with a prominent OU symbol is more likely to make it into a shopper’s cart. There is clear evidence that kosher symbols boost market share and win more highly coveted shelf space—a kosher product will outperform a non-Kosher product by 20%. Rhythm Superfoods knows this—they recognize that, as their product line expands, the OU symbol is an extremely important tool to enhance their products’ marketability. Products with the OU symbol sell faster and are favored by retail stores. Ultimately, this generates more sales, and leads to an increase in business. And smart brands, like Rhythm Superfoods, know consistency builds brand loyalty. Because the OU carefully reviews all ingredients and production practices before granting its seal, consumers trust the OU seal. When that seal appears on Rhythm Superfood’s products, food industry personnel, kosher inspectors, and shoppers inherently trust them, too—even if they’ve never tried the product before.